Three individual athletes and one team will join the ranks of the previous 43 inductees of the Strake Jesuit Athletic Hall of Honor as members of the Induction Class of 2018. 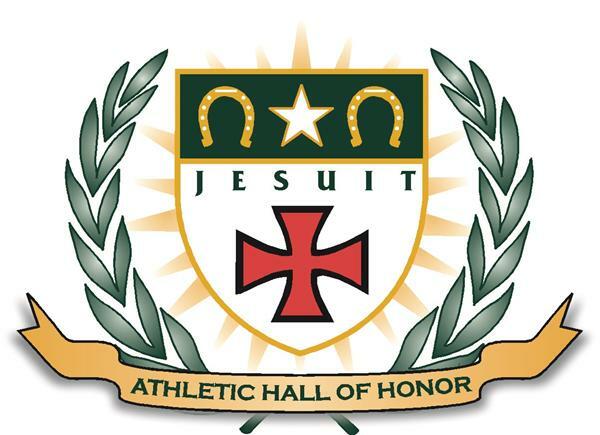 Alumni Don Blair '69 (football), Kent Mayes '78 (football, tennis, swimming), Stephen Nijoka '07 (wrestling) and the 1992 Soccer Team will be enshrined in the Strake Jesuit Hall of Honor on March 23rd, 2019 during our annual Night of Honor. Don Blair '69 was a three-sport athlete at Jesuit, lettering in football, basketball and track & field. However, it was football where Blair most stood out, earning All-District honors senior year as a linebacker and defensive lineman. Blair went on to play football at the University of Southwestern Louisiana (now University of Louisiana-Lafayette) where he started three years at left guard and one at left tackle on his way to being named All-Conference three times, and USL's Scholar Athlete of the Year in 1973. In 1996, he was inducted into the University's Athletic Hall of Fame. Kent Mayes '78 was also a three-sport athlete all four years at Strake Jesuit, lettering in football, tennis, and swimming. He excelled in football where he earned All-District and All-State 1st Team Honors as a senior. Mayes was a tight end on offense and a leader on defense at end, where he collected 63 tackles his senior year. After Strake Jesuit, he went on to play at the University of Texas before injuries cut short his playing career. Stephen Nijoka '07 is Strake Jesuit's first UIL State Champion. A four-year letterman, he won the state wrestling title in the 215 lb weight class. As a junior, he also earned All-District and All-Region honors. After Strake Jesuit, Nijoka wrestled at the University of Oklahoma, where he was Academic All Big XII as a freshman. The 1992 Soccer Team posted a 22-2-1 record and defeated Jesuit Dallas, who was on a 72-game winning streak, for the TCIL State Championship in Coach Bill McDonald's second year at Strake Jesuit. The team featured four All-State players, including Chris Darkins (20 goals, 15 assists), Corey Smith '(30 goals, 10 assists), Andy Gaal (11 goals, 8 assists), Jason Bliss and three more -- Roger Williams, Kevin Smith and Neil Butler-- who earned Honorable Mention recognition. These members of the Athletic Hall of Honor will be inducted before the presentation of this year's Ignatian Award (Mike Doyle '83) during Strake Jesuit's annual Night on Honor on Saturday, March 23rd, 2019. 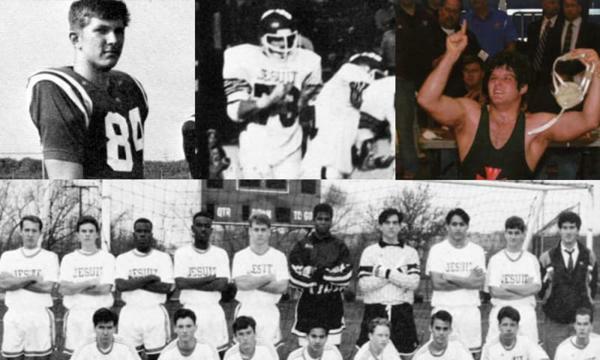 To see a list of previous Hall of Honor inductees, see athletes currently under consideration, and to make a nomiation for a fellow alum or team, click here. Congratulations to Don on the special honor. Please click here for Don's Athletic Network Profile which includes the announcement of his appointment as the AN Facebook Coordinator in 2013.